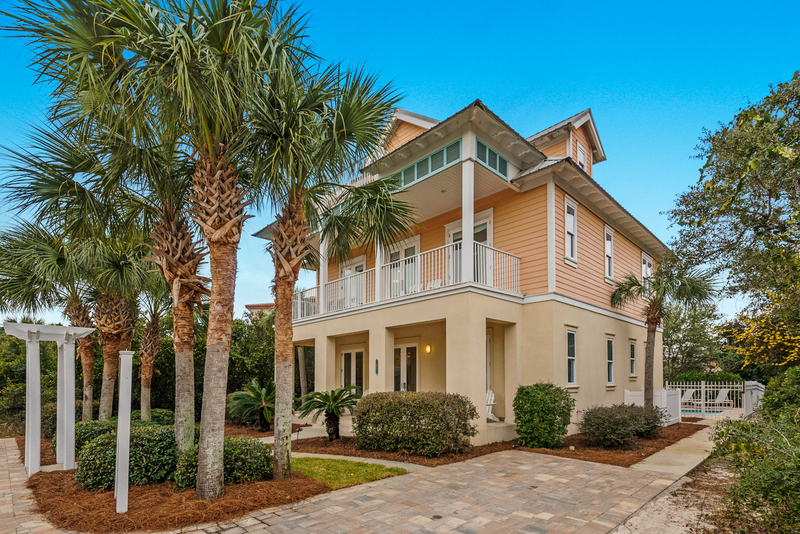 This fresh and current 5-bedroom coastal cottage with Gulf and lake views is located in the sunny, tropical community of Crescent Beach Cottages in Miramar Beach. It takes only a minute to walk to the private beach access with no roads to cross in between. This 4-story home is distinguished by its generous outdoor space. Each floor and every bedroom enjoys its own balcony or deck. Natural elements, light-filled spaces, and neutral palettes give this home an effortless coastal charm. 59 Monaco Street generated $90,000 in vacation rental income in 2017. 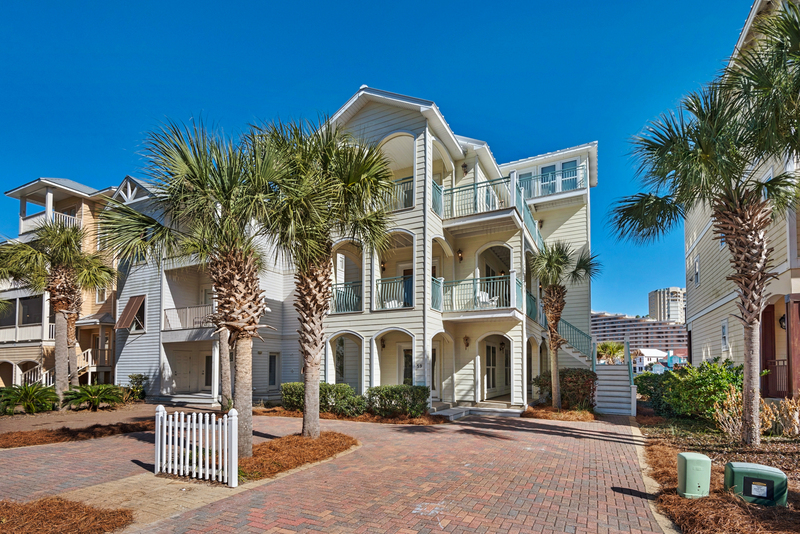 Just a short stroll to the private beach in Miramar Beach’s gated Shipwatch community, this vacation rental or second home is ideally located. Natural materials, clean lines, textures, and statement art elucidate a relaxed, modern coastal aesthetic. Its deep deck with ample seating, heated 12×10 plunge pool, and covered seating area extends over the lake, offering a unique waterfront experience. Large windows, neutral backdrops, and open interior spaces accentuate the calm, blue waters of the lake. Vacation rental income is projected to exceed $115,000. 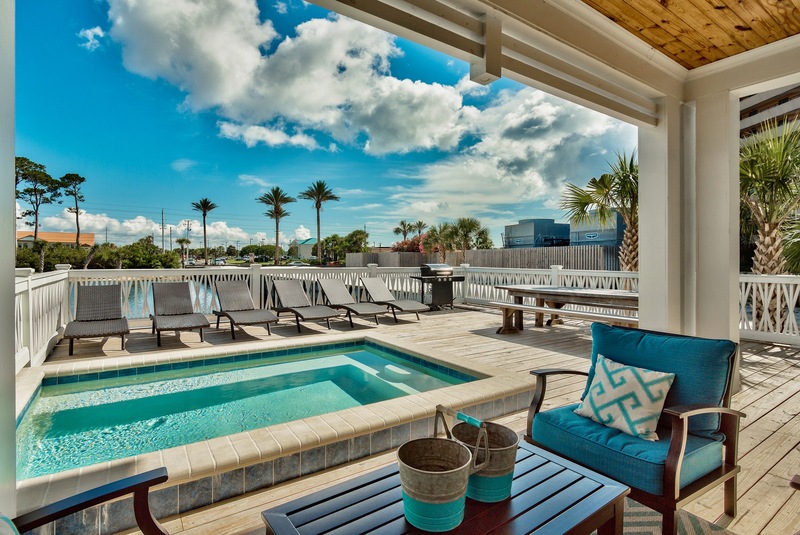 A great location, Gulf views, today’s decor, light and bright interiors, ample fresh-air living space, private pool with pool bar, first-floor living and plenty of room to gather encourage vacationers to return year after year. 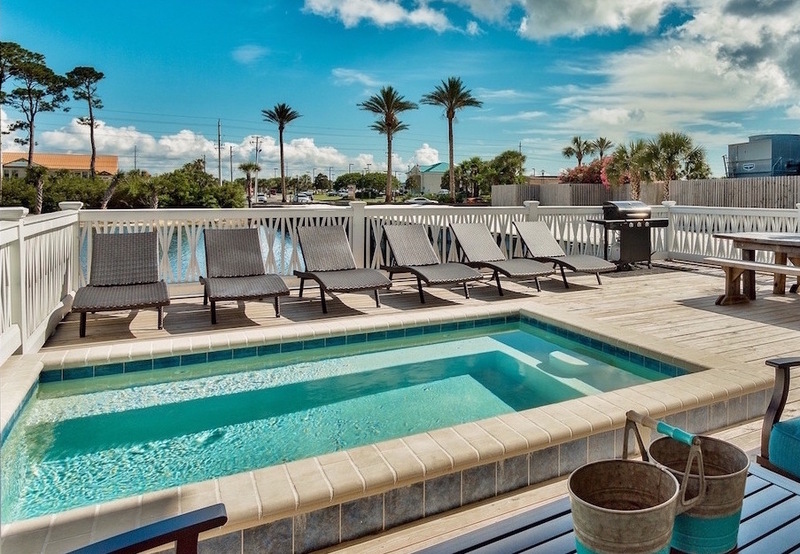 Just steps from Frangista Beach’s private beach access and community pool, life at the beach doesn’t get much closer.The pool area features a large heated pool, covered pool bar with beverage center and seating, and Weber gas grill. Rental income topped $130,000 in 2017.